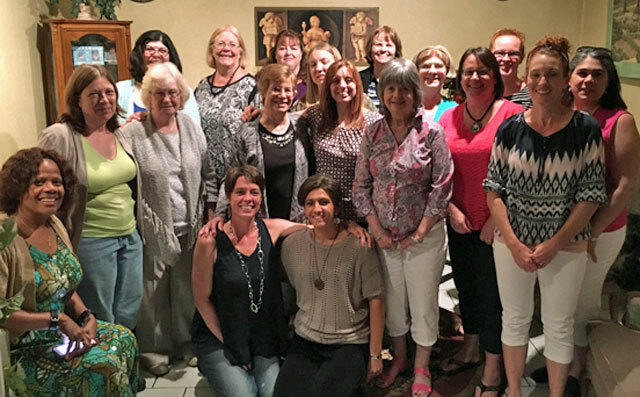 The Candia Community Woman's Club strives to make a positive influence in Candia. We help support the Candia Food Pantry, raise money for our Candia-based scholarship funds, organize kid-friendly events such as Touch A Truck, support local charities, and much, much more. Stitching Up The World.....One Stitch At A Time is a group of volunteers that knit, crochet or sew items that are donated to different organizations. 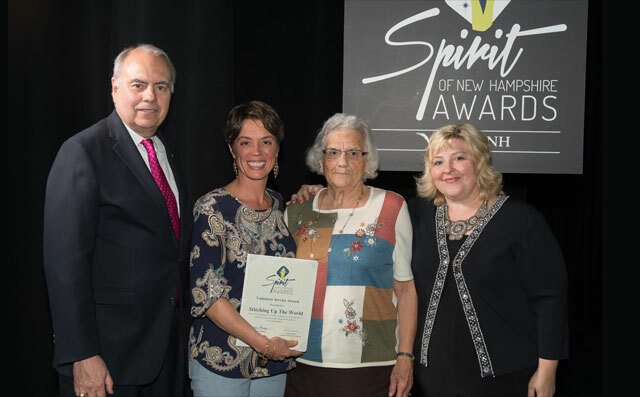 Stitching Up The World received the "Volunteer Service Award" at the 2016 Spirit of New Hampshire Awards. In 2007, Candia Community Woman's Club celebrated its 25th year as a club. The club has volunteered over 50,000 hours for community projects and has had countless members pass through the club on their life's journey. Many members have belonged for over 20 years. 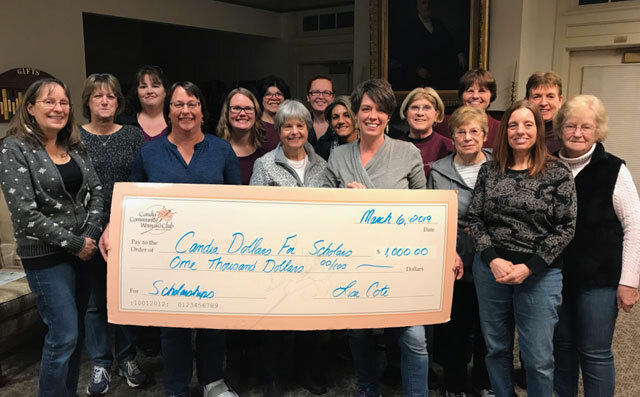 The Candia Community Woman's Club (CCWC) mission is to unite the women of the Greater Candia, New Hampshire area to volunteer their time, talents and energy into an organization that supports people in need through projects that benefit the community and numerous charities. 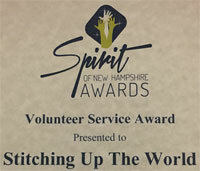 Stitching Up The World receives "Volunteer Service Award" at the 2016 Spirit of New Hampshire Awards. These businesses continue to support the CCWC. Show your support for them by clicking their ads and learn more about the great services they provide!